Every morning starts with a smile for Dr. William Kochenour when he walks into his practice. The day will be filled with interesting interactions with patients and coworkers offering new challenges and opportunities to effect positive changes in people’s lives. Dr. Kochenour knows that orthodontic treatments may not only help improve patients’ self-esteem but also the whole of their lives, from their overall health to daily interactions. He believes in emphasizing the need for open communication between himself and his patients, so Dr. Kochenour works with each patient to determine their specific orthodontic care needs and goals. He then crafts their individualized treatment plan. With gentle, caring hands and state-of-the-art orthodontic technology, Dr. Kochenour creates beautiful smiles and optimal oral health. Dr. Kochenour is an advocate for continuing education and actively pursues such opportunities. He attends conferences, professional meetings, and seminars, in addition to training sessions and hands-on demonstrations. 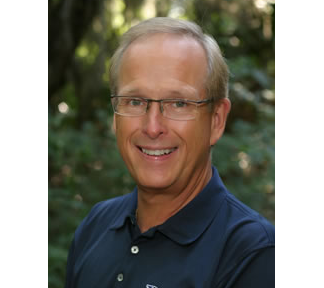 Dr. Kochenour is also sought after as educator and presenter at orthodontic conferences, meetings, and seminars. Dr. Kochenour and his wife Pat live in Palm Harbor, FL. They have four children, three daughters-in-law and a son-in-law. When not working, Dr. Kochenour loves to spend time with his family and friends. He is an avid fan of the Ohio Buckeyes and the Tampa Bay Rays. Dr. Kochenour also enjoys staying active by regularly participating in sporting activities like triathlons.